off the chain, yummy good cookies. Every bite will leave you begging for more. 1.Preheat oven at 325. In a mixing bowl, combine butter, sugar and vanilla extract and stir. Add egg into the mixture, and mix until all ingredients are combined. 2.Add ,in the gluten-free bisquick baking mix, and milk then mix well. 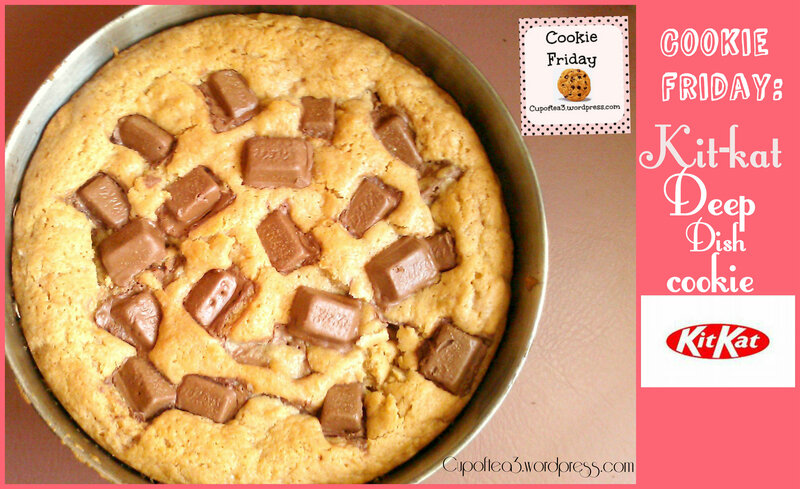 Add a few pieces of the kit-kats to the cookie dough mixture . Then chill for 1 hour. 3.Lightly spray 9 pan with oil. Take dough out of refrigerator,add a few more pieces to the dough . 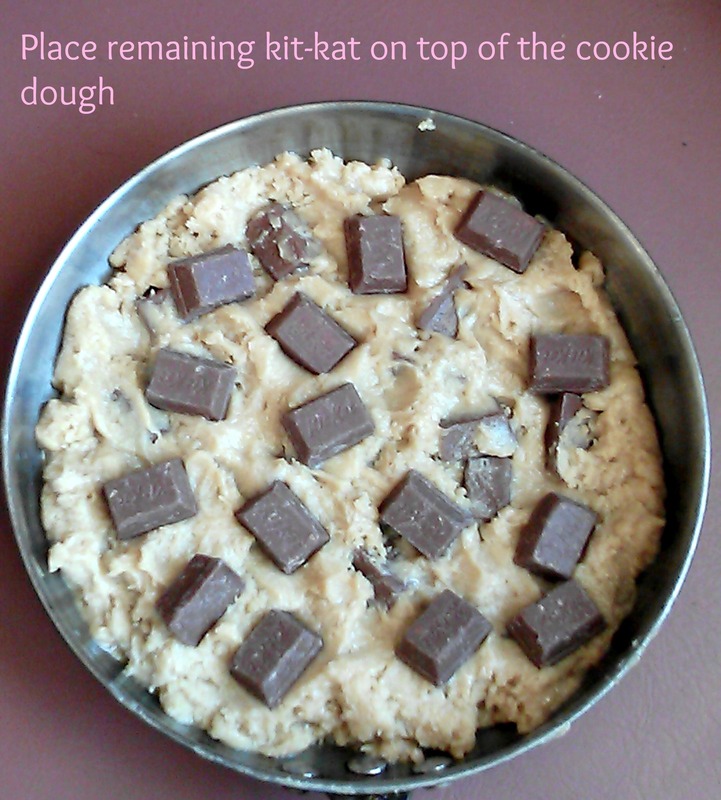 Then add cookie dough to pan, add the remaining kit-kats to the top of the dough. Bake for 27 to 30 or until its light golden brown. Take out and cool. You can add extra kit-kats , some caramel drizzle or chocolate drizzle . Cut slices evenly. Yummy!